I’ve always had a special place in my heart for winter camping. Call me crazy, but I tend to look past the hassles of cold and snow and instead cherish the fact that there are no bugs or bears to contend with in the winter. I grew up in Alaska and my family owned a very rustic cabin accessible only by airplane, boat, or snowmobile. And while the outhouse was replaced years ago, I remember thinking as a kid (while sitting on the pot) how the 50-plus-year-old structure was frozen enough not to collapse into the hole with me in it. Apparently those feelings have stayed with me to adulthood, as I plan winter trips with my own family months in advance. 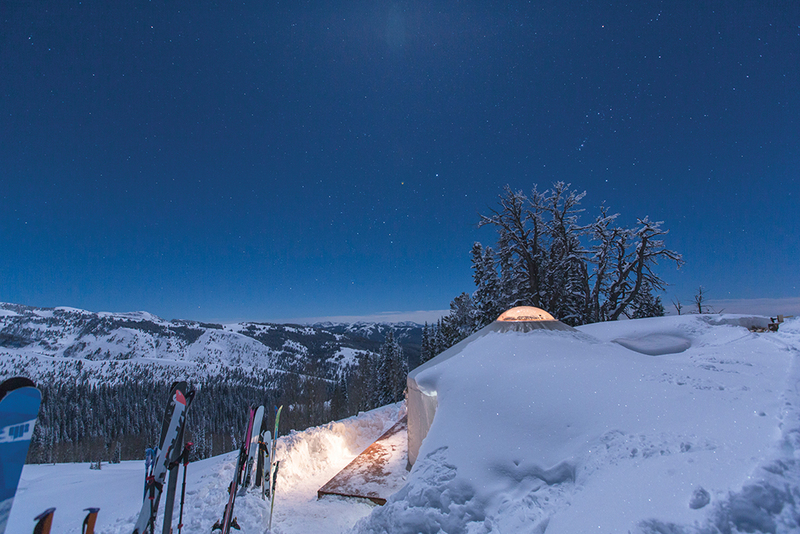 While I am not yet brave enough to endure tent sleeping in -20 degree weather with five young kids, I am more than happy to ski to yurts or cabins for a winter stay. The more snow the better, since that means an abundance of skiing, snowshoeing, snowball fights, fort building, and jumping into piles of the fluffy white stuff. A day of snow play followed by a cozy fire, hot chocolate, star viewing during a quick run to the outhouse, and a forced early bedtime (thanks to the dark winter months) sounds about as perfect as it gets. 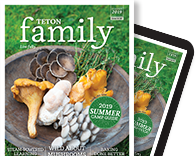 We’re content with simple, and we hope to pass that concept on to our children as we forgo exotic trips to the beach in favor of winter camping. Packing enough warm clothing and food for a family of seven is daunting, but our nine- and seven-year-old are more than willing to haul in some gear. It’s amazing how easily the game of Sleeping Queens and hot chocolate packets seem to make their way to our destination in small pockets of space. Both are essential. Photos taken during winter trips (we never plan on less than two nights if we can help it) usually show the signature “camping crazy hair” matted down with a headlamp. These same headlamps are the ones that show up in our Christmas stockings and are sorely missed if we forget enough for everyone, toddlers included. As a busy mom, I anticipate most of all the opportunity for extended hours of sleep (if all goes according to plan). Cold nights and mornings keep our clan snuggled in their sleeping bags. 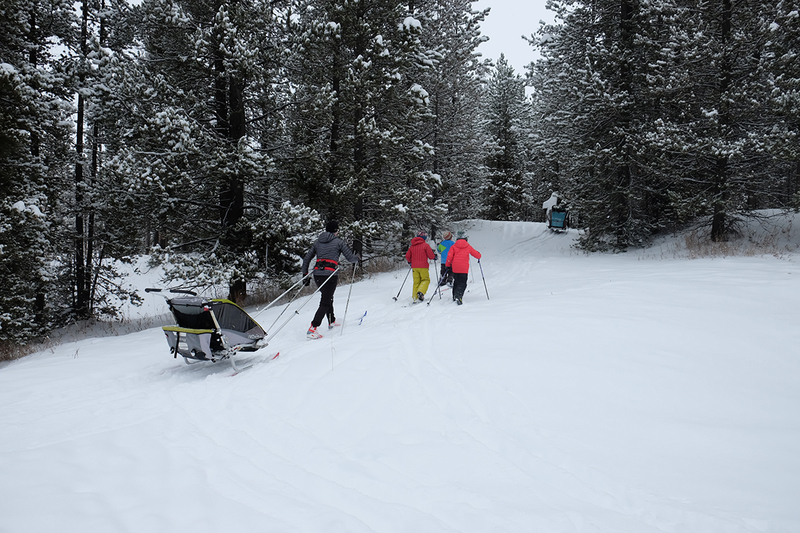 And our kids usually haul firewood or ski in to earn their hot chocolate. Bedtime always goes smoother when they’ve done both. Long ago, I learned to pack a double sleeping bag for myself to accommodate a nursing baby or needy two-year-old. Otherwise, it’s obvious who ends up with the serious lack of covers. It’s an opportunity to disconnect and reconnect with the ones we love. Carefully planned and packed food helps ease domestic duties in the cabin, and we always come home wanting to go again. Plan on unplugging. Many remote yurts and cabins do not have cellphone reception. Even if they do, keeping your phone charged in cold temperatures is tough. Like any winter adventure, plan on variable weather and pack accordingly. That means hauling in a few extra pounds of wool socks and puffy coats. But better safe than sorry. Formulate your sleeping arrangements before you go. Bring a Pack ’n’ Play, if needed, hats for sleeping in, and warm sleeping bags. And don’t think pillows are a frivolous addition, especially if it’s a short ski in. They’ll help everyone sleep better. Bring slippers. Yurt and cabin floors are cold, even with a roaring fire. Know how to get into the structure before you arrive. Forest Service cabins usually have a combination; yurts have keys. Bring fire starters, just in case. Book in advance! The prime spots fill up months before the snow flies.